You are now located in Kayaking category which contains other subcategories listed bellow. So if you wanted to buy Kayaking than select from other subcategories bellow. 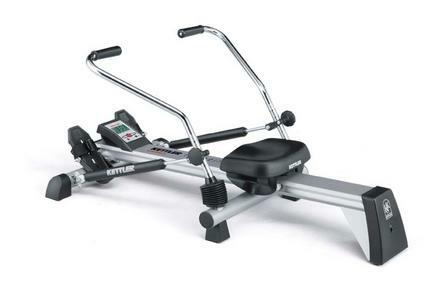 With its special outrigger technology, the rowing machine KADETT executes a circular rowing motion which is very similar to actual rowing on water. The degree of resistance can be regulated perfectly with the hydraulic cylinders and the foot rests are individually adjustable to the length of the user's legs.Features:Training computer: time measurement, total km covered, oar strokes, stroke speed with acoustic signal (can be switched off), calorie consumption, room temperature, pulse measurement, maximum pulse rate (visual and acoustic alarm), recovery pulse with fitness rating and continuous display of 5 functions.Two hydraulic cylinders for force resistanceFold-out rowing armsContinuous force adjustmentsSize when set up: L = 150 cm, W = 170 cm, H = 46 cmSize when folded: L = 150cm, W = 50 cm, H = 46 cmMaximum weight restriction recommended by the manufacturer for this item is 285 Lbs. 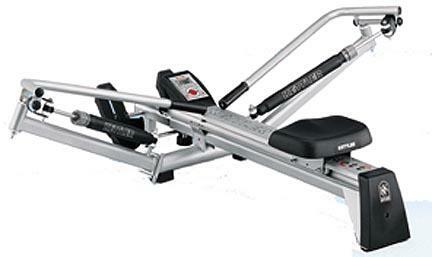 The rowing machine FAVORIT is a real all-rounder for exercising the entire body. The aluminum running rail combined with the high-quality ergonomic roller seat guarantees smooth and silent exercising. 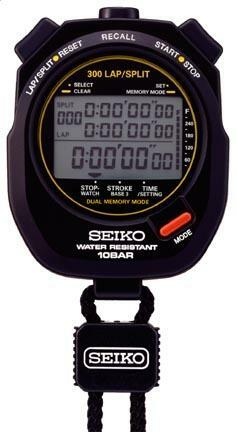 Features:Training computer: time measurement, total km covered, oar strokes, stroke speed with acoustic signal (can be switched off), calorie consumption, room temperature, pulse measurement, maximum pulse rate (visual and acoustic alarm), recovery pulse with fitness rating and continuous display of 5 functions.Two hydraulic cylinders for force resistanceFold-out rowing armsContinuous force adjustmentsSize when set up: L = 124 cm, W = 78 cm, H = 26 cmMaximum weight restriction recommended by the manufacturer for this item is 285 Lbs.